Big Data, Machine Learning, Artificial Intelligence & the Internet of Things; have captured a spotlight in today’s corporate goals with lofty expectations. In short, organizations are looking for accelerated value from enterprise driven analytics, whether from clinical results or device sensor data at the edge. While technologies are rapidly growing and catching up to meet these requirements, challenges exist for the proper approach and deployment of these solutions. Mike Eisterer is a Solutions Engineer at snapLogic. snapLogic is a unified data and application iPaaS offering, enabling organizations to achieve their integration and analytic goals. Mike brings over twenty years architecting, developing and selling business integration solutions and big data analytics. 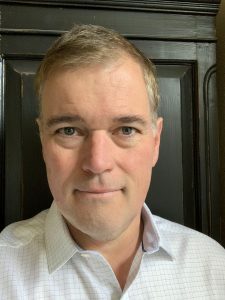 Mike has worked for Hewlett Packard Enterprise, Siemens, Oracle, Software AG, SOA Software and Informatica, across; support, consulting, product management and presales roles.